Manage your entire store from any computer with an Internet connection. There’s no software to download and you have full access to your orders, products, inventory, customers and more using our secure web-based control panel which you can login to 24/7 from anywhere in the world. Because we know your online store is just one part of your business, we make BigCommerce compatible with all major accounting and order management applications, shipping and payment providers. With just a few clicks you can integrate with all of the services you rely on to do business. Did you know that a professional looking online store can dramatically increase your sales? BigCommerce includes over 60 beautiful ecommerce templates for you to choose from. You can use a store design as-is, or customize it using our quick and easy design tools – without touching a line of code. 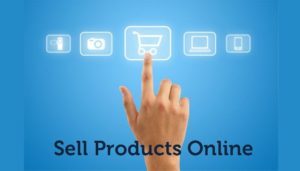 Easily sell products with different options such as t-shirts or computers. You can create an unlimited number of product combinations and they don’t count towards your product limit. You can also create custom fields which a shopper must fill in during purchase, such as text to print on a t-shirt or text to engrave on an iPod. Display an unlimited number of rich, high quality images for products in your store. You can batch upload dozens of images at once or choose images from the Internet. Thumbnail images are created automatically, images appear in a beautiful slideshow gallery on the product page and can be clicked for a larger version. BigCommerce includes dozens of marketing tools to help you succeed, including trackable coupon codes, automatic Google AdWords creation for every product in your store, Google Base product export, product sharing via email/Twitter/FaceBook, newsletter signup, discount rules RSS feeds, promotional banners and more.